The San Francisco 49ers have agreed to trade their 2018 fourth-round pick to the Denver Broncos in exchange for the No. 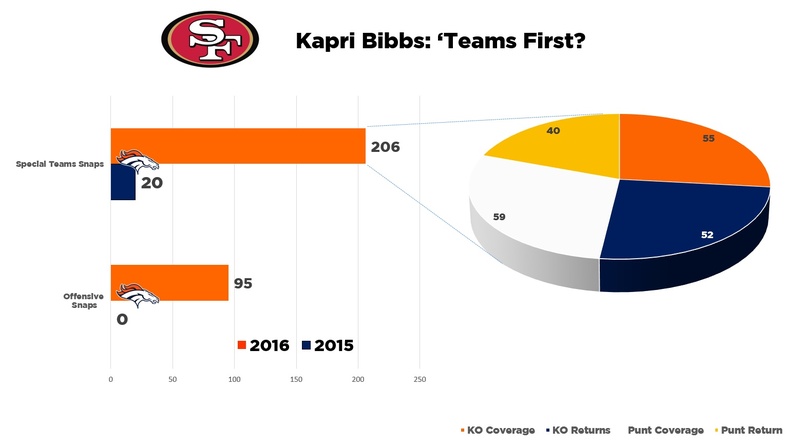 177th overall pick in this year’s draft and RB Kapri Bibbs. Bibbs signed with the Broncos in 2014 as an undrafted free agent and spent most of his first two years on the Broncos practice squad. Bibbs made most of his impact on special teams for the Broncos, playing 205 special teams snaps. Bibbs’ most notable play of his career was a 69-yard touchdown that he caught against the Oakland Raiders on Sunday Night Football in Week 9 of the 2017 season. Bibbs finished the season with 129 yards rushing, 72 of which were after contact.